For IT News Week 4 May 2018. United Overseas Bank (Malaysia) Bhd (UOB Malaysia) today announced it will partner with Modalku Ventures Sdn Bhd (Funding Societies), a regional peer-to-peer (P2P) digital financing platform, to connect start-ups and small businesses with alternative financing options to help them progress faster through different stages of growth. Through the partnership, start-ups and UOB Malaysia’s small business customers can access Funding Societies’ global investor network to raise additional working capital. UOB Malaysia’s customers will be able to raise up to RM500,000 in capital directly from individual and institutional investors using Funding Societies’ online P2P platform without the need to pledge collateral. SMEs who are interested to learn more about the alternative funding opportunities provided by UOB Malaysia and Funding Societies can visit UOB Malaysia branches nationwide for more information. Unexpected power outages is a serious problem in Malaysia. According to the World Bank Group, 18.9% of private sector businesses in Malaysia experienced electrical outages from March 2015 to May 2016. With the average duration of a typical electrical outage at 3.8 hours, more than 10% of businesses had to opt for alternative power source in the form of generators. 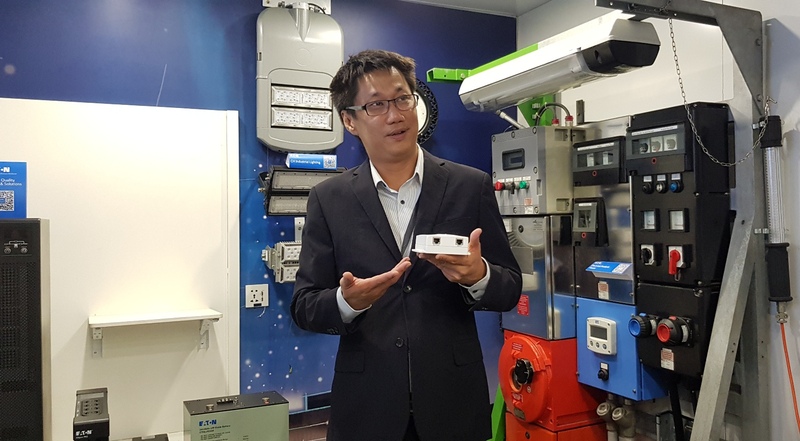 Speaking at the Eaton Techday 2018 today, Curtis Lim, Malaysia Country Manager, Electrical Sector of Eaton said that it was vital for companies to take proactive measures to fail-safe their operations from electrical outages, and that situations like these can be prevented with backup power systems and electrical circuit protection. To showcase Eaton’s unique solutions, the company boasts a one-of-a-kind 11-square meter interactive mobile showroom, known as the Eaton Mobile Truck, journeying all over Malaysia to highlight power management technologies that focus on reliability, efficiency and safety. Flashpoint, the global leader in Business Risk Intelligence (BRI) from the Deep & Dark Web (DDW), has officially announced its expansion into the Asia Pacific market, with significant focus on Singapore, Japan and Australia. Flashpoint's Asia Pacific operations will be headed by security industry veteran Jankang Tao, Managing Director for Asia Pacific at Flashpoint. The expansion was prompted by Asia Pacific's potential for commerce and prosperity, and the evolving complexity of the region's threat landscape that is particularly suitable for Flashpoint's offerings. Socio-Economic Instability: Asian markets took a hit on 25 May after a historic summit between United States and North Korea was initially cancelled, a move perceived to have serious ramifications on regional peace and stability. Financial Crime: Almost 50% of large companies in Asia Pacific have fallen victim to fraud, theft, money laundering or other financial crimes. Cyber threats: The economic impact of cyberthreats to Asia Pacific's organisations can soar as high as US$1.75 trillion (constituting more than 7% of the region's collective GDP). Major organisations in Asia Pacific ranging from Malaysia's tele-communications providers, Singapore's Ministry of Defence and leading universities in , and broadcasters in Australia have been victims of cyber attacks. OPPO, a leading global smartphone brand dedicated to providing products infused with art and innovative technology, today announced new leadership aimed at expanding its international business and cultivating young talents. Taking on this task is Alen Wu, Vice President of OPPO, formerly in charge of China Marketing and Sales. In his new role, Alen will oversee the entire international operations and is charged to grow the business outside China. Meanwhile, Brian Shen has been promoted to Assistant Vice President, responsible for China Marketing and Sales. Both Alen and Brian will report to Tony Chen, CEO of OPPO. One of Malaysia’s largest online marketplaces, 11street has partnered up with Wiko, a French mobile company that was founded in the South of France in 2011, to offer Malaysians a value for money mobile phone with the newly launched Wiko View2 Pro. Starting 30 May 2018 until 11 June 2018, 11street will be the only marketplace to offer its customers the exclusive opportunity to pre-order the Wiko View2 Pro on 11street’s platform. Customers who purchase the pre-order of Wiko View2 Pro via the platform will also receive a gift box worth RM318. Wiko View2 Pro comes with Full Screen (19:9) design, Dual Rear camera that captures images in detail, Face unlock for instant access, video stabilisation, wide angle 120° shots for panoramic pictures, Contextual top area use and in app top notifications. 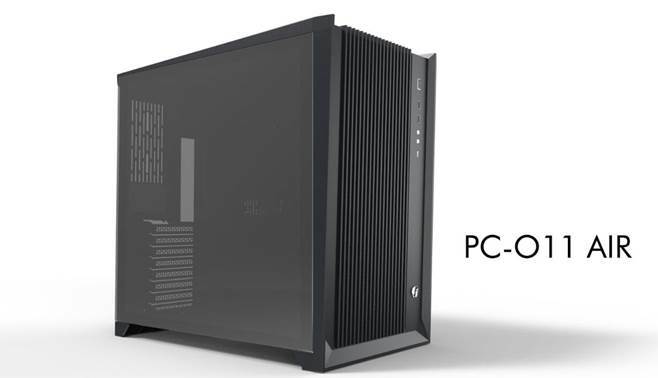 Lian Li Industrial Co. Ltd., world’s leading manufacturer of aluminum chassis for enthusiasts, custom OEM/ODM case solutions and case accessories is excited to invite everyone to Lian Li’s product showcase during COMPUTEX 2018 at Taipei, Taiwan. Lian Li will be showing off its latest line-up of chassis including the PC-O11 Air and Lancool One chassis to spice up your build. Lian Li invites everyone to come witness and experience the best of Lian Li at their booth. COMPUTEX 2018 will be held in Taipei, Taiwan from June 5 to June 9, 2018. Shopee, the leading e-commerce platform in Southeast Asia and Taiwan, launches its brand new initiative, the Shopee Celebrity Squad, which allows users easy access to a curated collection of products by their favourite Malaysian celebrities.